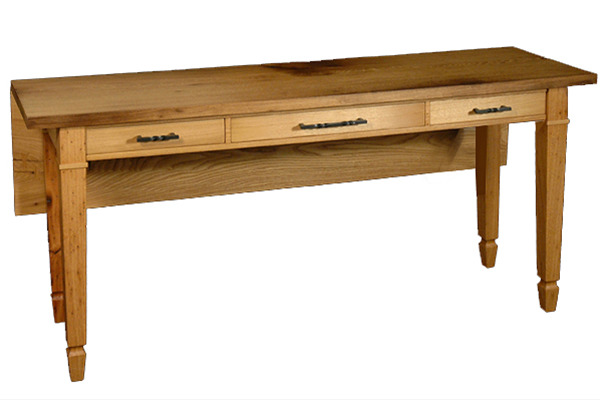 This table attaches to the end of the Recycled Chestnut Sawbuck Table # 212. The table is 36" x 72" when open with a double gate leg, which adds 6 additional seats to the table and makes the whole table 14' long. Great for dinner parties! The hardware is hand forged by my son Sam in our metal shop.